The Gita which has been translated into almost all the languages of the world, is one of the finest works of literature produced by man. This book is for the present-day generation who is unable to read it in the original Sanskrit. While elaborating on the spiritual and metaphysical teachings of the Gita, the book analyses some vital social issues in the contemporary context, such as the caste system, the position of women in society, religious tolerance and communal harmony. The salient facts abut India's glorious past have been gleaned from the most authentic sources. The late R.K. Chatterjee was an expert of international repute in the field of mass communication. He was the Director of News services; Dy. Director-General, All India Radio; Director of Field Publicity, Ministry of Information and Broadcasting, Government of India; and the principal Information Officer of the Colombo Plan. He retired as a senior member of the Indian Information Service. An eminent Sanskrit Scholar from Calcutta University. Mr. Chatterjee was a keen student of India's spiritual and cultural history. His enduring interest was a study of Vedic literature, particularly of the Bhagavad-Gita and the Upanishads. The Gita is both a story and a gospel. As a gospel, it transcends the limits of time and space and national boundaries and influences peoples all over the world. One of the noblest cultural heritages of mankind, it has shaped the lives and thoughts of countless generation of man and woman in the past and will continue to do so in future. The Gita is also a profound spiritual story-unique among the philosophical literatures of the world. Delivered in the unusual environment of a catastrophic war, it sought to dispel the emotional conflict in the mind of the principle characters of the Great Epic, Mahabharata. The Gita’s Speaker, Sri Krishna, is perhaps the most scintillating personality that Indian Mythology has produced. 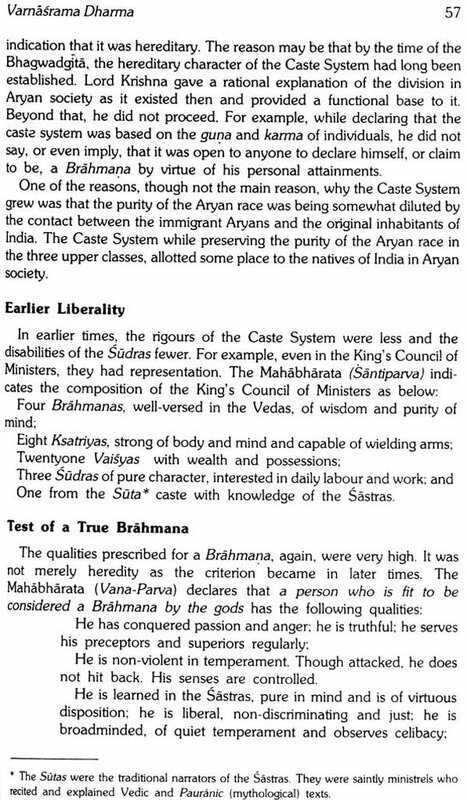 The historical character of Sri Krishna has not yet been established, but “recent researches leave no doubt that Krishna-Vasudeva of Mathura was a human teacher belonging to the republican Ksatriya clam known as Satavatas or Vrsnis, a branch of the Yadava tribe which was famous in the days of the Brahmanas”. 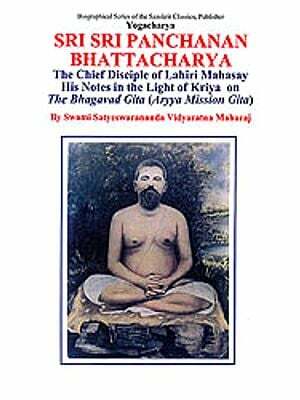 In this book, an attempt has been made to present some of the teachings of the Gita in an easily assimilable from for the average educated individual. The entire the Gita has not been translation in the book, but a sizable number of slokas—three hundred and ten (310) of Gita 700-have been introduced. Of these, one hundred and ninety four (194) have been quotes in original Sanskrit, along with their English translations. The rest of the slokas, one hundred and sixteen, have been presented through translations only. Supporting slokas from the Upanishads have also been quoted. The texts of the slokas reproduced in the book are standard texts, particularly those published by the Gita Press. Gorakhpur and the Ramakrishna Mission. The Gita slokas quoted in original have been placed on the left side of the page with their English translation on the right. This arrangement will enable a person not conversant with Sanskrit to get the entire contents of the book by reading only the English portion. Translation can hardly convey the beauty and force of the original. The author is fully aware of this and also of the limitations of his own ability. Nevertheless, he has attempted to provide as faithful a translation as possible, keeping in view both the letter and the spirit of the original. In addition to presenting the spiritual and metaphysical aspects of the Gita’s teachings three special chapters dealing with the Varnasrama Dharma as propounded in the Gita has been introduced, discussing them in their modern context. They deal with such vital issues as the Caste System, the position of woman in society in ancient times, and an analysis of the Varnasrama Dharma, its role and application in the modern context. Basic facts on India’s cultural past have been gleaned from many sources including the most valuable publication of the Ramakrishna Mission Institute of Culture, Calcutta, namely, “The Cultural Heritage of India” (five volumes). These volumes containing articles by eminent scholars, saints and philosophers constitute a gold mine of information and I wish to acknowledge with gratitude and thanks for whatever factual information I have used form them. I am grateful to Reverend Swami Ekatmananda, a senior monk of the Ramakrishna Math and Ramakrishna Mission for kindly going through the script and making a number of valuable suggessions. The author wishes to humbly submit that the purpose of the book is NOT to preach. Following his life-long pre-occupation-Mass Communication-he has attempted to present the fundamentals of the Gita’s teachings and also some special aspects of India’s ancient culture to the educated people in India and abroad, keeping in view particularly the students and youth and others who may not have the time or facility to study the original. Its approach is information-oriented. The extensive footnotes given on different subjects as well as the Appendix providing the approximate general meaning of the Sanskrit words used in the book are also intended to serve this purpose.